As part of the Alimak Group, Manntech products are serviced by Alimak Service, the global leader in vertical access service solutions. 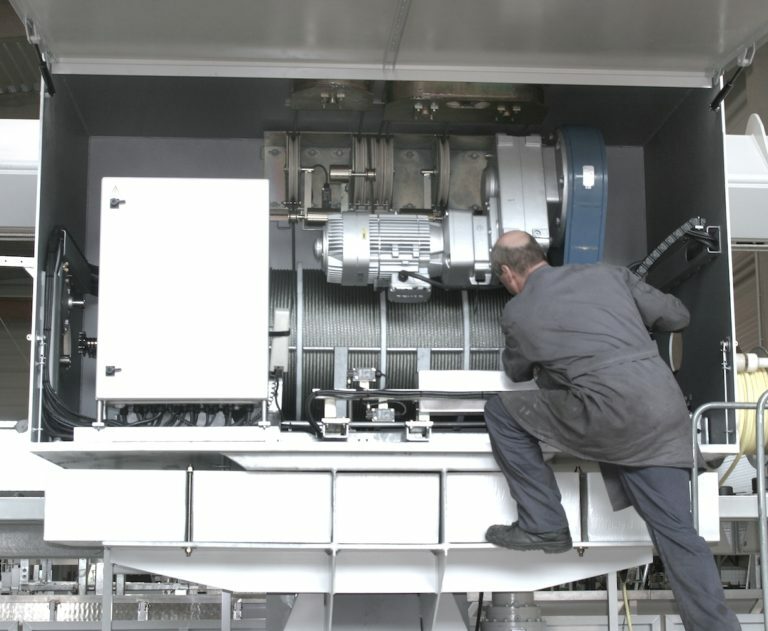 Alimak Service provides a full range of service, parts and training solutions, delivered by a global service support network across 100 countries. Alimak Service’s mission is to ensure the highest level of product uptime and safety, over the total life cycle of your equipment. Alimak Service provides a full range of maintenance services for all of our Building Maintenance Unit products, to protect your investment in exterior care for the life of your building. With taller buildings and larger windows revealing extraordinary views comes the expectation that your clients and tenants are able to enjoy the panoramas they are paying for. Uptime for building maintenance units means fewer complaints to deal with. Alimak Service provide a range of maintenance programs to sustain the condition of the equipment during the course of its life. The coverage covers the equipment for service, breakdown, and limited repairs under normal working conditions. This coverage gives our customers precise budgeting provisions as well as streamlined co-ordination and management of the equipment. Impromptu Service options are also available on an as-needed basis, such as the provision of one-off servicing, repairs or condition inspection reports. Impromptu service is also generally utilized for equipment not inside our portfolio, where equipment can be problematic and our specialized services are requested on a short-term basis. Manntech have detailed records on almost all of the machines built in our 60-year history, and this information can be used to replace or remanufacture worn or damaged BMU components. In many cases, this occurs with non-Manntech machines, where the original equipment manufacturer may no longer exist. Our electrical, mechanical, and structural design teams can work with you to provide a solution to your damaged equipment. Through evaluating your needs and the condition of your current equipment, our technical teams can assist by preparing a range of alternatives from modernization to complete replacement. Our project management staff can plan with you to execute the works without disruption to the building. With experience with most types of lifting solutions, we can replace your rooftop BMU plant without the need of the original building tower crane.